Gorgeous and immaculate 2 bedroom & 2 bath updated detached home with garage and large private driveway in cozy Castleton Corners. 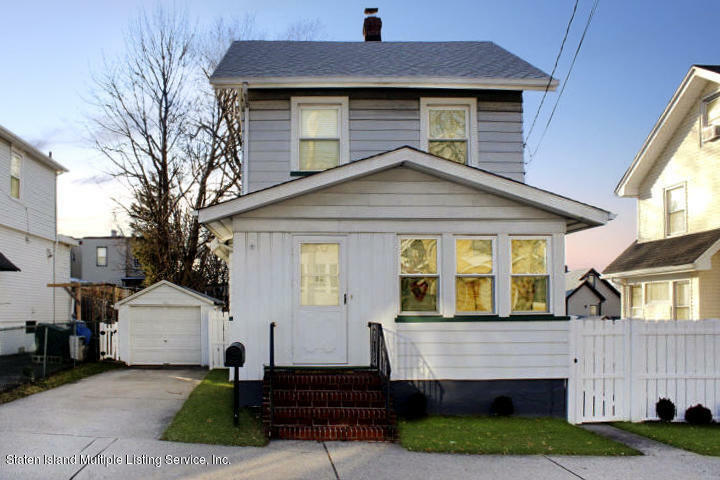 Home features hardwood floors, new bathroom, new kitchen, updated heating system, replacement windows, and walk-up finished attic being used as a playroom.This beautiful home is located within short distance to shopping, buses, and a short drive to the expressway. Just on location alone this home will sell quickly. Level 1 - formal living room, formal dining room, 3/4 bath, finished porch being used as an office, galley kitchen. Level 2 - master bedroom, 2nd bedroom, full bath. Level 3 - walk-up finished attic. Basement - full unfinished, storage, utilities & laundry.